After a positive start to the trip, day two began with the sun sneaking through the clouds and the new day was looking to be another positive one. The morning shift saw 30-year-old Foleleni, undergo a six-hour surgery where she received a mitral valve replacement (MVR) and tricuspid valve repair being moved into the intensive care unit (ICU) under the watchful eye of OHI nurses Sarah, Liana, Danika and Laura. The afternoon saw the second patient for the day Vilami, a young man of 17 undergo a double valve replacement which will have a significant impact on his long-term health outcomes. With both patients recovering well in ICU there were plenty of smiles within the unit. Alongside the critical life-saving surgeries is the important work of education and skill building with the hospital nursing staff. On her first trip with Open Heart International (OHI) Nurse Educator Irene Mayo continued her sessions with the hospital nursing staff providing skills for pre- and post-operative care. Irene’s friendly and warm nature was met with enthusiasm and keen interest as the young nurses soaked up the information. Drawing from the OHI mantra of treating, teaching and empowering, educating local medical and health teams forms a vital part of building capacity within the community. The educator role is new for OHI in Tonga, as we continue to enhance the long-term impact our visitations are having with local health teams. Having community based champions and leaders continuing the work of OHI is key to shifting health behaviours and enhancing surgical outcomes. 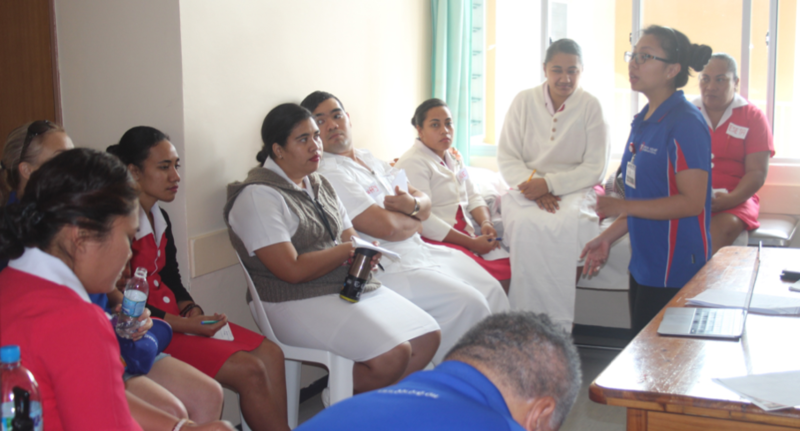 Throughout our time in Tonga, education sessions will be provided with nursing and medical staff as a way to build skills but also to provide the OHI team with a local context on the needs and existing strengths within the community. 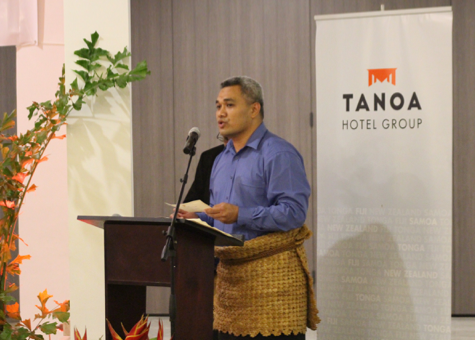 After a busy day, the team wound down with a cocktail function at the Tanoa International Dateline hotel where sponsors and supporters of OHI came together to welcome and celebrate the teams’ presence. 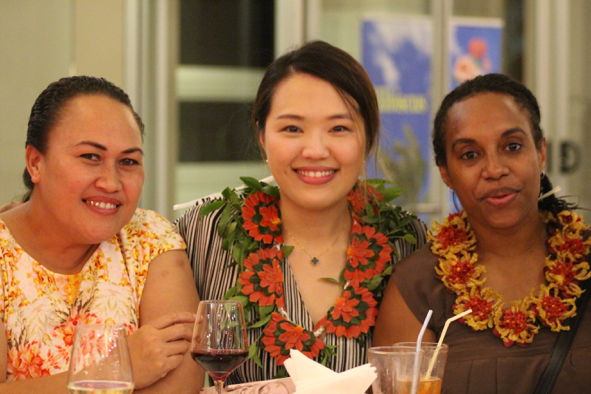 Hosted by Dr Lisiate Ulufonua, Medical Superintendent the evening was in true Tongan spirit. 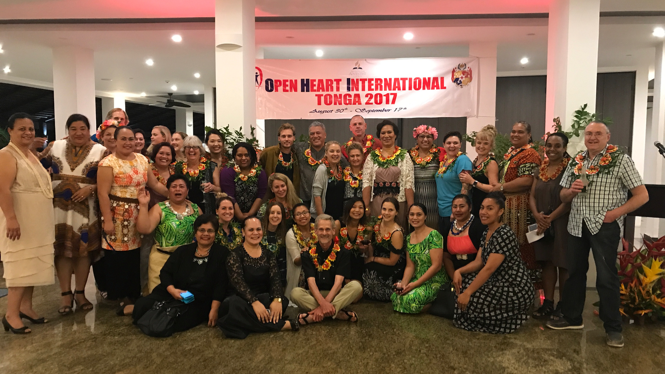 Filled with fun, traditional dancing, and deep gratitude the evening once again highlighted the OHI team to their purpose of providing collaborative medical services here in this beautiful kingdom. 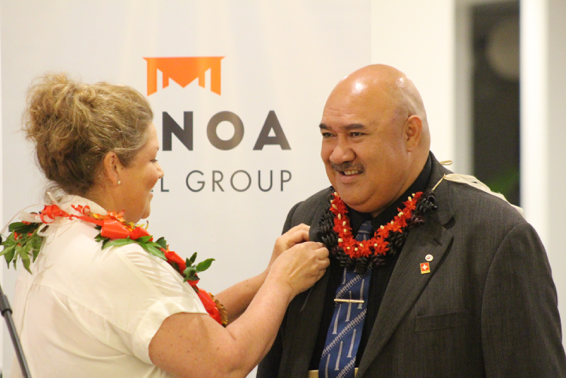 As the Honourable Dr Saia Ma’U Piukala, Minister for Health finished off the evening with his heartfelt speech he shared his gratitude on behalf of the Tongan community, his personal appreciation permeated through the group as his emotions became visible. The team again being reconnected to the mission of OHI and feeling the true impact of their work.